You never know when hunger will strike at breakfast or lunch in Duck NC, but when it does you want to be near good food. 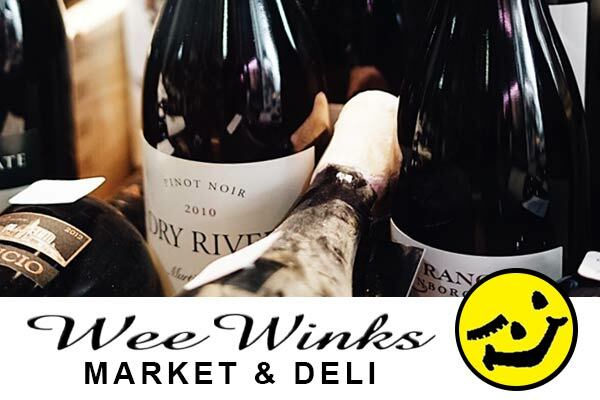 Wee Winks Market and Deli is the place in the heart of the village to find something quick and delicious to eat. From the regular menu to the specials board, everything here is made fresh. See our Great Plates page for photos and descriptions of some of the favorite dishes. Customers love Wee Winks’ garden salads, from the crisp Garden Salad to the protein-rich Chef’s Salad to the Chicken Caesar Salad to the Greek Salad. Side salads like chicken salad, egg salad, tuna salad and macaroni salad are fresh and tasty. For lunch you can choose from one of the subs on the menu or make your own. The Wee Winks Super, with roast beef, ham, turkey and provolone, is a favorite, as is the Chicken Salad Croissant. From the grill, everyone loves the Angus Cheeseburger (add chili or bacon), the Philly Cheese Steak, Pork BBQ Sandwich and Nathan’s Hot Dog. From the fryer, there are Chicken Tenders, Chicken Wings, Mozzarella Sticks, Onion Rings and even Chili Cheese Fries! For breakfast in Duck NC, don’t miss the Jumbo Cinnamon Buns that are made fresh daily or one of the fresh Duck NC pastries, like extra-large muffins, assorted crumb cakes and comforting Apple Fritters. Breakfast sandwiches can be made on biscuits, bagels, croissant or toast with eggs, cheese and meats like Taylor pork roll, sausage, bacon or country ham. The Breakfast Burrito is a locals’ favorite, stuffed with eggs, cheese, meat and sautéed veggies. Check out the Wee Winks Duck NC Market Menus page. No matter when you’re hungry in Duck NC deli sandwiches and breakfast favorites are always waiting at Wee Winks Market. Beer and wine, coffee, deli, pastries, beach supplies, groceries, newspapers, books and much more! Largest craft beer selection and largest wine selection in the Town of Duck!